Scrambled eggs are an all-time breakfast classic. And there’s nothing more delicious than a fluffy, creamy texture of the eggs, cooked to perfection, contrasted exquisitely with the crunch of the freshly buttered toast. 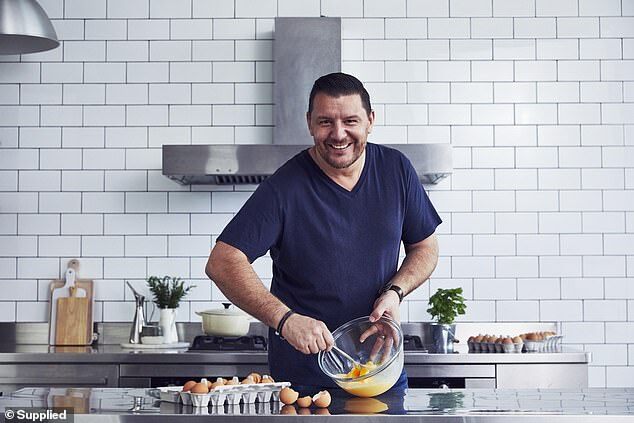 However it’s not always easy to get the traditional breakfast dish right – but Australian celebrity chef Manu Feildel has cracked the secret to the perfect scrambled eggs. Here, the My Kitchen Rules judge revealed his step-by-step recipe – and the common mistakes home cooks make that lead to sloppy, overcooked or even rubbery eggs. 4. Remove the pan from the heat before the egg is completely set. Leave to sit for a minute or two, this will let the egg gently finish cooking in its own heat. 5. To serve, place on top of 1-2 pieces of well buttered toast and finish with a sprinkle of fresh herbs if desired. The Australian Eggs ambassador starts by whisking two to three whole eggs with a dash of milk, and a pinch of sea salt and pepper in a bowl. On low heat, allow the butter to foam in the pan before pouring the eggs in and leave for 60 to 90 seconds to begin to set. Gently pull the egg from the edges, into the centre of the pan. Turn and tilt the pan so the runny egg takes up the available space and runs off the set egg, this gentle pulling will make egg ‘ribbons’. Remove the pan from the heat before the egg is completely set. Leave to sit for a minute or two, this will let the egg gently finish cooking in its own heat. 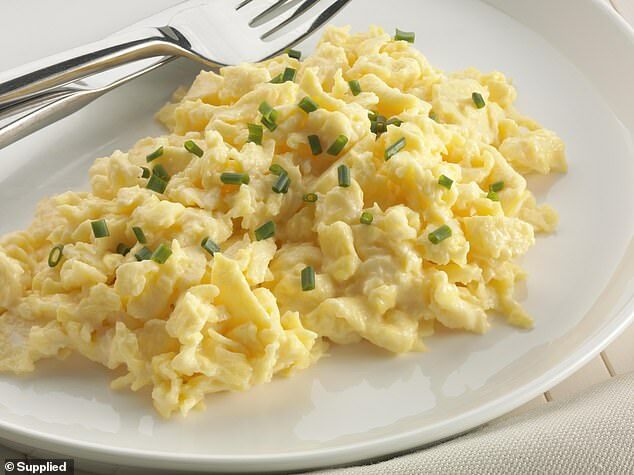 To serve, place the scrambled eggs on one to two pieces of well buttered toast and finish with a sprinkle of fresh herbs. Manu said the trick was to avoid cooking the eggs on high heat. ‘Don’t let your pan get too hot, if the pan is too hot the eggs will cook too quickly, burn and rather than be lovely and light, have a rubbery texture,’ he explained. He also explained how important it was to cook the eggs gently in the pan. ‘Don’t be rough and move the eggs too much, light gentle movement will help the eggs stay light and not break up,’ Manu said. Finally, don’t overcook the eggs. ‘This will also make them tough and rubbery. Remove them from the heat when it’s still a little wet in places. The residual heat from the pan and the eggs will finish cooking them through,’ he added. And if you want to mix things up a bit in the kitchen, Manu suggested other ingredients to add to the egg mixture. ‘For more decadent eggs, you can keep six or so eggs in a glass jar with a piece of truffle. This will infuse the eggs with the truffle flavour, then, finely grate some of the truffle over the eggs just before serving,’ he said. ‘For cheesy eggs, pour the egg mix into the pan and leave to cook for 60 to 90 seconds then scatter with your favourite grated cheese and continue the cooking process. Serve with hot buttered toast and sliced ham or crispy speck.